Simply click below for information and help videos from our Support team. What is a MAC Key Reset and when do I need to use it? You can perform a MAC Key Reset when the terminal loses connection to your acquiring bank. The MAC Key Reset should be complete. How do I locate my Supervisor Code and how can I reset it? Each terminal has a default Supervisor Code of 1212. If your terminal’s Supervisor Code becomes locked, please call the Fidelity Payment support line and be ready to provide the named contact on file to pass the security measures. What is an End-Of-Day report and how do I create one? An End-Of-Day report will enable you to send all your recorded transactions to your acquiring bank in order to be reconciled. Why would I opt to switch comms and how can I do so? The terminal will ask for a dial prefix (the first set of digits after the country and area codes of a telephone number). These are most commonly 9 or 1208. If the prefix is different, please verify with your telephone provider. Once this is confirmed, please allow the terminal to complete a download for the switch. A receipt will be printed out after downloading the confirmation of the switch. The terminal should start downloading straight away. If there is a 3 squares box icon with an outer green colour then the terminal is now connected via IP. Once confirmed, please allow the terminal to complete a download for the switch. A receipt will be printed out after downloading the confirmation of the switch. How do I change the time and date on my terminal? How do I select a Network GPRS? Within these settings you can now test the signal strength to see which network is the strongest. Once completing this signal test you can select the available networks with the strongest located at the top. How do I reset my terminal? 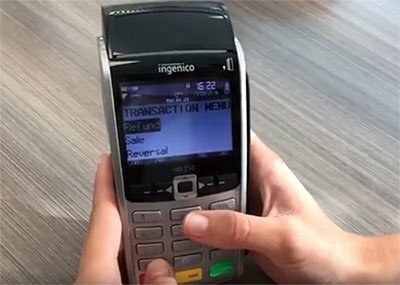 How do I take my transaction? 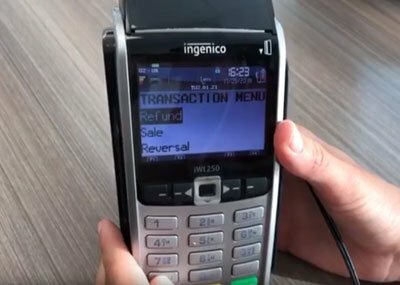 How do I locate my transaction? Why is my transaction being rejected? AVS CV2 failure – The security code and address do not match or are incorrect. Declined/Rejected – There are either no funds available, a decline by issuing bank or incorrect AVS/CV2. Sometimes it could be a combination of all three. Referral – The connection has either failed or you will need to contact the acquiring bank* to push the payment through. 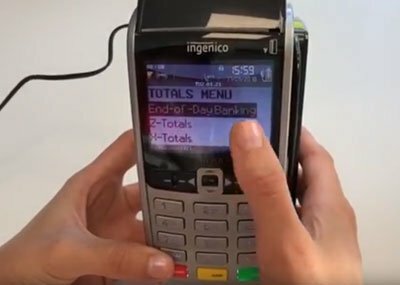 Failed – The card details are invalid. Captured – Your funds are available in the customer’s account and have been held to process. Accepted – Your funds are accepted to be debited from the customer’s account by the issuing bank*. Approved – Your funds have been removed from the customer’s account and are being processed by the acquiring bank*. 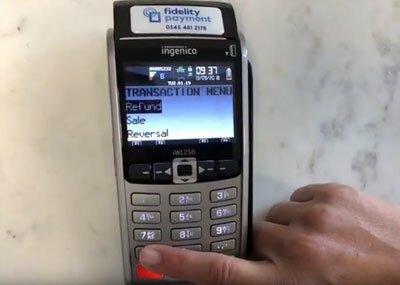 What is the traffic light system on the transaction list? 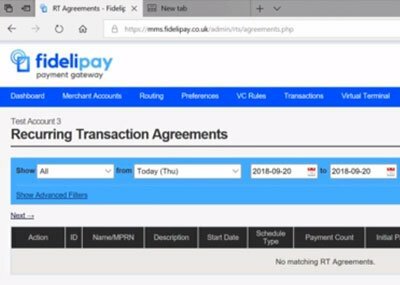 The green, amber and red traffic light system on Fidelipay indicates whether the transaction has been taken securely or if the payment has been rejected. It will also show which piece of information was incorrect. When making a MOTO transaction, the S (Security Code), A (Address) and P (Postcode) buttons will need to be green before a payment can be captured. You can manipulate this on the preference settings. When an ECOM transaction is made on your website, the S, A, P and 3D Secure buttons will need to be green. The 3D Secure button can only be utilised if you have enabled this preference on Fidelipay. 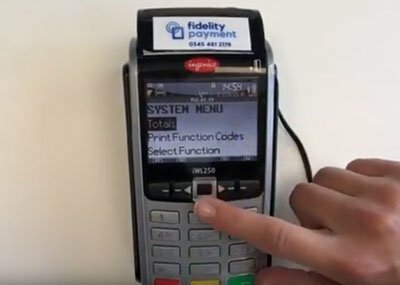 How do I make a refund using Fidelipay? 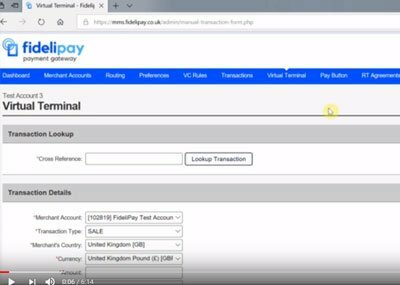 To make a refund using Fidelipay, the merchant will need to either locate the transaction originally taken from the customer or enter the details manually through the virtual terminal. Much like taking a transaction, the merchant will need to select ‘Credit’ instead of ‘Sale’ under the transaction type. The merchant will then be allowed to refund any amount they require. What is a ‘Recurring Transaction Agreement’ (RT Agreement)? What it a 'Recurring Transaction Agreement' (RT Agreement)? How do I locate my invoices? 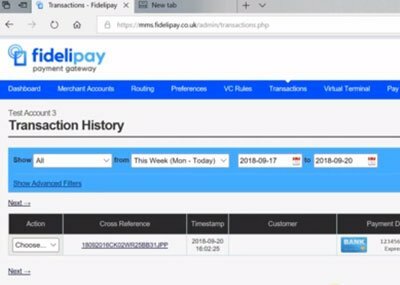 Your Fidelipay rental invoices can be viewed on the Invoice tab, where you will be able to see the number of transactions taken and any amount due. You can also download ‘Invoice Reports’ on the top right of the page, which will automatically download an Excel spreadsheet providing all of the information you might require such as amounts, users, transactions and dates. What is a Pay Button and how can I use it? Where can I add new users on Fidelipay using my own login details? Once this information is collected you will need to email the request to support@fidelitypayment.co.uk. Once we’ve received this information we will reply with the username and temporary password. How do I log in to AIB Insight? 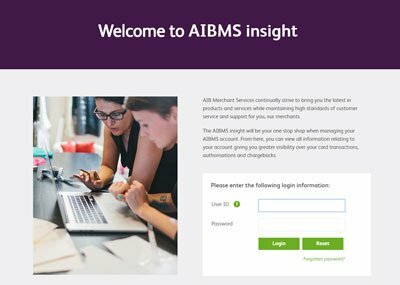 AIBMS Insight will allow you access to online reports and statements, alongside other analytical tools to help you manage your own merchant account. Once your account has been created you will receive an email containing detailed instructions regarding how to access AIBMS Insight. AIBMS Insight is accessed online at https://insight.aibms.com/mop/aibms. It is recommended that you use up-to-date Web Browsers. The ‘Search’ tab allows you to search transactional data and displays detailed search results based on selected criteria. How can I view a statement? Via the Statements & Reports menu, you can access statements and reports online as well as downloading the requested files in various formats. Statements & Reports is provided in the form of a link on the navigation bar. Once you select a statement, there are several formats for downloading the documents. What is PCI DSS/ PCI compliance? 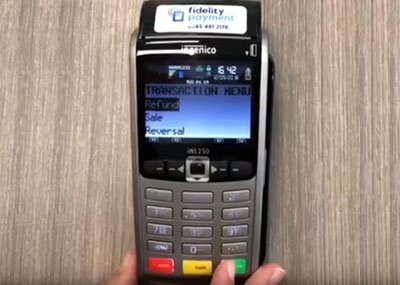 The Payment Card Industry Data Security Standard (PCI DSS) is a set of security standards designed to ensure that all companies accept, process, store and transmit credit card information in a safe and secure environment. PCI DSS is compulsory to all organisations, regardless of the size or number of the transactions being processed. Once you are approved by the acquiring bank*, you will be contacted in order to complete the PCI questionnaire. Once completed, you will be provided with a certificate. A renewal date will be set and once expired you must contact your acquiring bank to renew the certificate. What is the risk if I am not PCI compliant? Before your Merchant ID is closed or until compliant, you will usually be contacted continuously for three months. During this period, you will receive Non-PCI charges on your monthly statement, which range between £30 – £50 until the PCI compliance has been completed. If you still fail to meet the necessary requirements at the end of these three months, your Merchant ID will be closed.